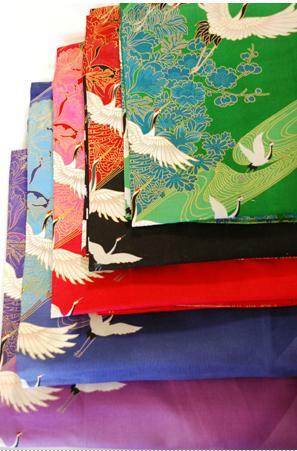 The crane symbolizes "Longevity" and "Happiness" in Japan. The old proverb of Japan says "The crane lives 1000 years". This is an auspicious pattern often used for bridal wear. Left picture is "Purple". This model is 170cm (5'7"). Right front pocket. This cotton fabric is soft and smooth. 100% cotton wicks away moisture. With the same fabric sash belt. One size fits most. 100% cotton. Wash separately. Machine wash warm gentle. Do not bleach. Medium hot iron. Keep away from fire. Designed and made in Japan.